The New Life Center has been meeting needs and transforming lives through the love of Christ since 1907. We help people who are homeless and hurting go from merely surviving to truly thriving. Our aim is to help them discover value and find hope. Founded as the Glad Tidings Mission, the New Life Center has evolved from an organization that primarily conducted religious services and neighborhood outreach work to a Christian multi-faceted emergency and crisis service center. Rob has been a part of the Mission since 2010; he moved into the director role in 2013. Rob’s area of focus is the overall operation and health of the organization. 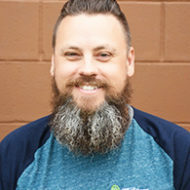 Prior to his time at the Mission, Rob worked for Hospice of the Red River Valley in a variety of leadership roles and before that at the Ronald McDonald House in client services and facilities management. 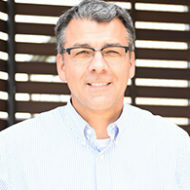 Tom joined the New Life Center team in February of 2017. Tom directs the dining services, janitorial services, facilities and maintenance, as provides oversight of the Thrift Store Operations. Prior to joining the mission Tom worked in health care administration for 25 years. He is a registered nurse and holds a master’s degree in Nursing Administration. Neal has been part of the Mission since 2014. 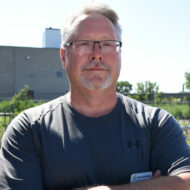 Neal oversees the Program Department which consists of programming, supervision of shelter and case management staff, and database administration. Before joining the Mission, Neal was an Associate Pastor at First Assembly in Fargo. 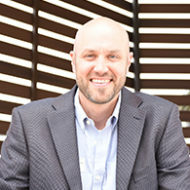 Neal holds a bachelor degree in Family Science and Childhood Development from North Dakota State University, and a graduate degree in Pastoral Counseling from Liberty University. Katie joined the New Life Center June of 2017. Katie's area of focus involves donor development & relations, Sustained Giving Program, and Legacy Giving Program. 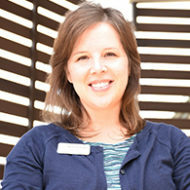 She has over fifteen years of healthcare experience and a passion for relationship building and community engagement.